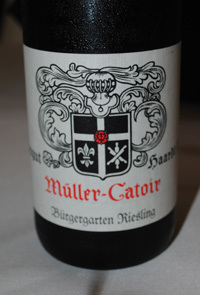 2012 Muller-Catoir, Riesling Burgergarten Trocken, Pfalz Germany. I believe the first vintage of Muller-Catoir I bought was the 1997, and I’ve been a fan ever since, these Pfalz wines are some of the finest white wines made and the 2012 vintage is a stellar year for this great domaine. While I can’t stop babbling on about Muller-Catoir’s fantastic Muskateller, it is there dry Riesling wines that take center stage in this latest set of releases, especially this magical 2012 Burgergarten Trocken. This is serious wine for serious wine lovers, intense and noble with transparent clarity and real purpose, the Burgergarten is a pure Riesling expression from it’s place, the sandstone soils, exposure and deft winemaking. The 2012 Muller-Catoir Riesling Burgergarten Trocken is vigorously steely and stingingly dry with spritzy vibrancy throughout, there is white flowers, salty brine, tangy peach, pear and green apple with a core of cool lime, plus hints of grapefruit, apricot pit and chalky wet stones. 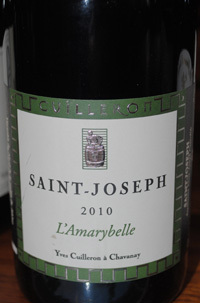 The finish is mouth-wateringly dry and zesty, but there is lingering impressions of rosemary, mint and tangerine. 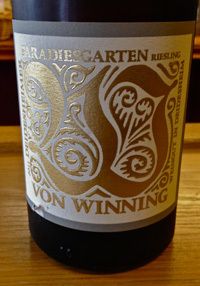 This is ultra Riesling, maybe not a Grand Cru, but certainly it has it all if not in name, this wine is looking good to be in my top ten best of the year, bravo, drink 2015-2022. 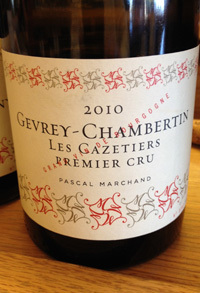 2010 Pascal Marchand, Gevrey-Chambertin “Les Cazetiers” Premier Cru Red Burgundy, France. Another beautifully crafted Burgundy from ex-Comte Armand winemaker Pascal Marchand, the Quebecian (French Canadian) has certainly put together a great portfolio of wines since going solo, and this majestic Gevrey-Chambertin is one of his finest efforts to date. The detailed 2010 Les Cazetiers gives unbridled pleasure and charm with glorious transparency and silky richness, this beauty shows dried rose petals, hints of game, violets and raspberry from nose to entry, the mouth is filled with cherry, plum and currant fruits with truffle, liquid mineral and sweet herbs, tea spices plus light wood notes. These layers are deep and compelling from start to finish, the smooth tannins and acidity hold everything in place perfectly, this wine is laser sharp, focused and balanced, highlighting the perfect marriage of vineyard, wine and winemaker, stunning in everyday, drink from 2015-2020. 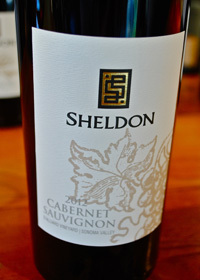 2012 Sheldon, Cabernet Sauvignon “D’ Alliard Vineyard” Sonoma Valley. The latest from Sheldon Wines is a glorious single vineyard Cabernet Sauvignon from the western most side of the Sonoma Valley, from a tiny old vine plot at the D’ Alliard Vineyard, this is a fantastic and graceful young Cabernet with awesome potential as it is still a baby at this point, it reminds me of a Ridge Cab, or an old school Napa wine with it’s wonderfully low alcohol, it’s only 12.3%, and it’s refined pure varietal character, this is an elegant wine with loads of personality. Dylan and Tobe Sheldon crafted this wine with the use of any new wood and minimal racking or handling and bottled this wine unfiltered, this handcrafted artisan Cabernet is dark and classic without any overdoing it, it is what good honest Cabernet should be, nothing less and nothing more. 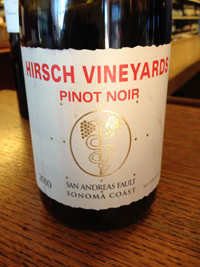 The nose has dark cherries, minty herbs, creme de cassis and a touch of pencil lead, leading to a medium/full palate of blackberry, plum, raspberry and a subtle kirsch note along with fine tobacco leaf, black olive, wild herbs, cedar and licorice notes. 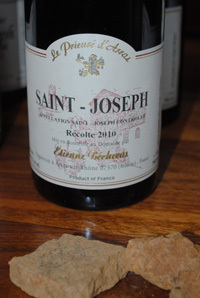 This wine is still firm with ripe tannins and good acidity, giving it balance and structure, but is tasty already with a fresh juicy nature. It should fill out nicely in the bottle over the coming 3 to 5 years, drink from 2016 to 2021, though I no doubt will pop my own bottles a bit sooner, bravo. 2011 Madigan, Cabernet Sauvignon, Napa Valley. This lovely and delicious Cabernet is a steal, this very complete red is pure Napa artisan wine made by Chris Danielak, who also makes the flagship White Rock Vineyards wines (Madigan is their second label) for his family. White Rock started in 1977 with the revival of the historic winery that was originally started back in 1870, the Cabernet vines were planted back in 1977 and the current line of wines were started back in 1986 by Chris Danielak’s father, who he took over from in 1999, though Chris has also done winemaking gigs across the pond in Spain and in France. 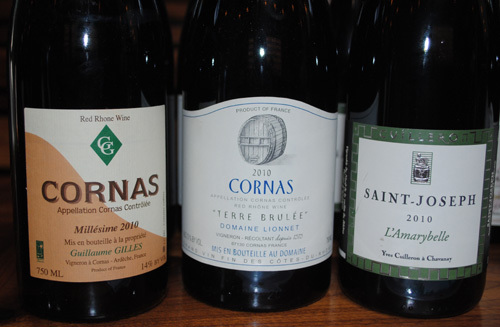 White Rock’s wines have always garnered high praise and their low alcohol, European style, that has really become popular lately, are without question classy efforts. 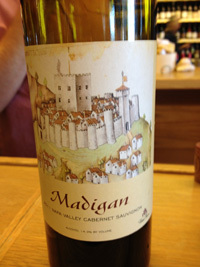 The 2011 Madigan Cabernet Sauvignon is a fresh, but filling wine with a dark garnet hue, vivid berry and cherry fruit, earth and spice, plus subtle oak notes. 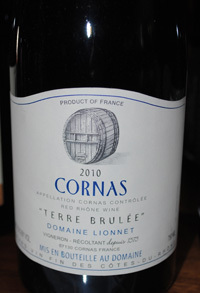 There is a tangy currant core that comes through on the palate with air, and there are touches of cedar, baking spices, licorice and a nice long aftertaste. 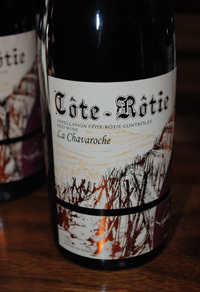 This is a solid and well made Cabernet Sauvignon, perfect for easy drinking and especially exciting for bargain hunters. 2012 Weingut Donnhoff, Riesling, Estate, Nahe Germany. Certainly, you cannot find many QbA Rieslings as good as this Donnhoff, there is just no question, especially this years edition, as 2012 is proving to be a fantastic vintage. I missed this wine at the pre arrival tasting in June of 2013 in San Francisco, where I got a chance to try most of the significant offerings from the wonderful Terry Theise portfolio, so I was thrilled to be able to taste it this weekend, and it did not disappoint, it is a lovely and mostly dry style with just a touch of sweetness, about normal Kabinett level in feel. 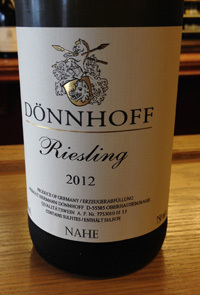 This remarkable 2012 Donnhoff Estate Riesling makes for a compelling wine and again a super value, this is quality stuff, with floral and tropical essences, tangy lime and peach fruit, steely minerals and creamy rich finish, but with brisk and vibrant acidity. This charming and pure wine has a touch of apricot, tangerine, basil, sea salt and wet stones as well, plus some juicy green apple. 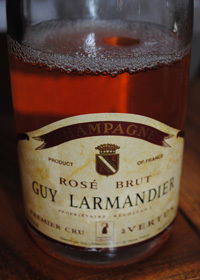 The off dry feel plays well, making for a bit of fleshy texture, this is a very pleasing and refreshing wine. The 2012 Donnhoff Estate Riesling is almost a must wine, if not a must have a case wine, it is that good and it is perfect for Asian food, picnics and well, almost time, and it should drink great for a decade! 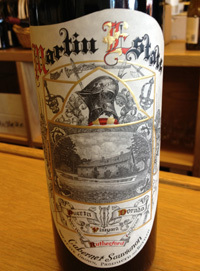 2010 Martin Estate, Cabernet Sauvignon, Rutherford, Napa Valley. This has to be one of the best new wines of the year, this jaw-dropping Cabernet from Aaron Pott and Martin Estate in Rutherford is a profound effort and easily is in the big leagues, this wine is right up there with the cult legends, though name dropping here seems cliche, just know this is the real deal. The 2010 Martin Estate, Cabernet Sauvignon Napa Valley is intensely dark, deep and dense, but still full of vibrancy, life and grace, this is a shockingly great Cabernet from a talented winemaker that has without question hit the big time. 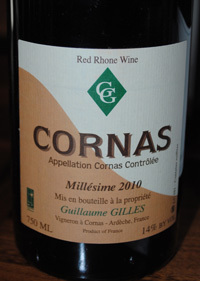 The nose brings acacia, wild flowers, creme de cassis, Herbs de Provence, subtle smoke, pencil lead and vanilla scented wood, then there is the packed palate of vivid flavors including blackberry, black currants, plum and blueberry fruits, mineral, sage and cinnamon spiciness, plus hints of espresso bean, tobacco leaf, bitter coco and licorice root. Everything folds together perfectly and firm tannins and lifting acidity hold the rich and lavish texture in check, this is fantastic and dynamic Cabernet Sauvignon that deserves high praise and attention. Be sure to make note of this estate and this wine, this is a new project you want to be on the ground floor with, and one of the most exciting new Napa wines I can remember, this wine has it all, class, power, life and complexity, don’t miss out.